Our compact trailer is perfect for residential areas and two-lane roads. Its small size makes it easy to tow and its see-through design keeps pedestrians safe. Perfect for highways and roadwork zones, our folding-frame trailers hold two large regulatory signs, and their speed display can be seen over a Jersey barrier. 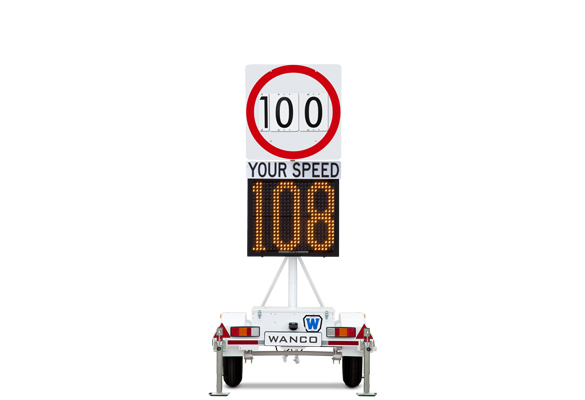 The speed limit sign and radar-speed display sit side-by-side high off the ground on our vertical-mast trailer. The signs and mast can rotate 360 degrees. 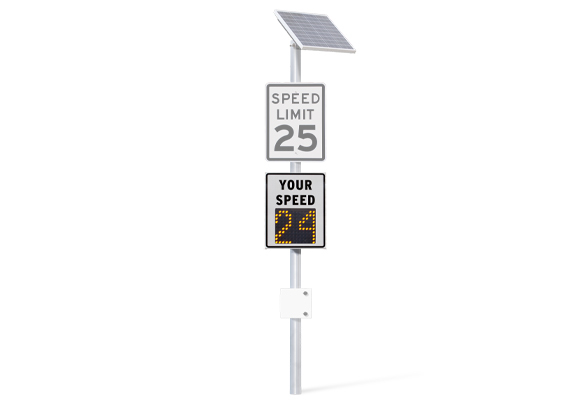 Our pole-mount signs can be hard-wired to commercial power or battery-powered with an automatic solar charging system. Choose from two display sizes. 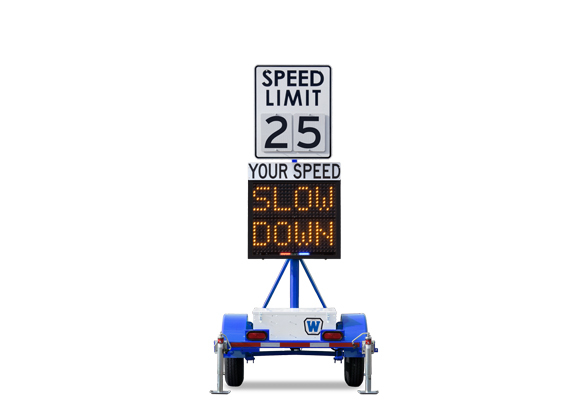 Deploy these signs in school zones and residential areas where motorists need a reminder to slow down. This compact trailer can be towed by most vehicles. Designed for use internationally, deploy our compact, portable trailer in neighborhoods or alongside motorways. Speed limit sign features changeable digits.